A linen-backed UK Quad poster for the Sean Connery Bond film "Thunderball" (1965). 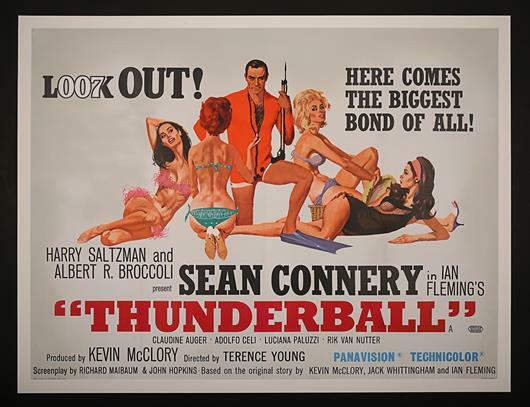 This was the first of several Bond posters which artist Robert McGinnis worked on. Here Bond is posed surrounded by some admiring girls. The colours remain bold and vibrant. The poster has been removed from a frame and a card mount has been left in place, this affixed to the surrounding linen and not the poster. Linen-backed and originally folded with some light restoration to foldlines, corners and to some background areas but the central imagery is mostly untouched. 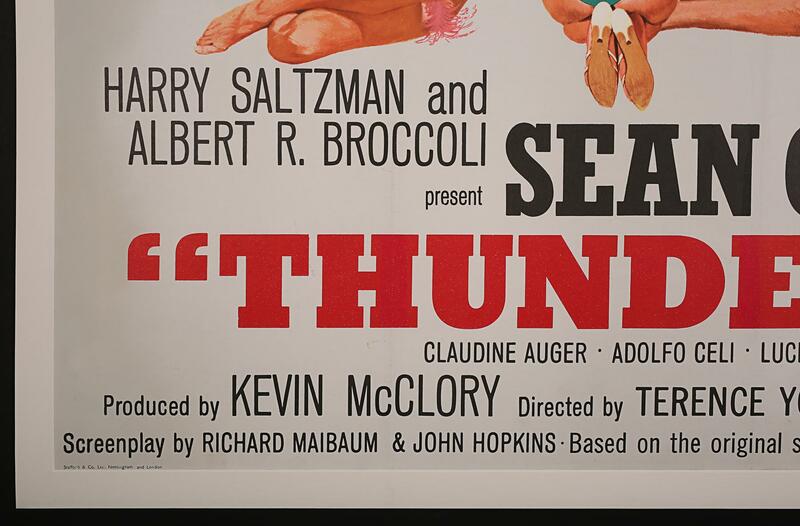 Some restoration to the "E" in the film title and to text bottom left corner. 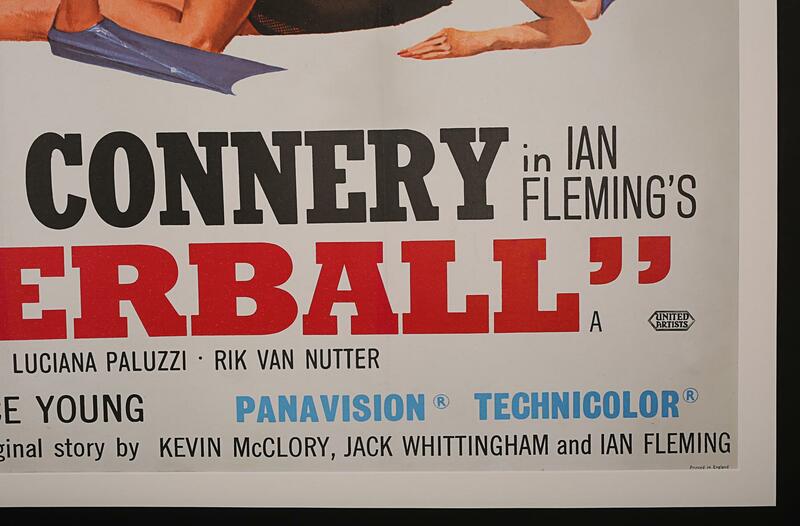 Overall a poster in very good condition, colours being particularly clean and vibrant.